First Images Of Doctor Who's New TARDIS Interior. It's... Glam? 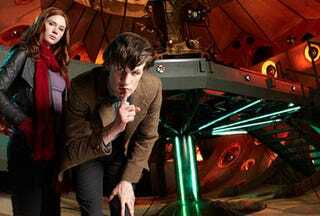 Britain's Radio Times debuted a ton of images of the inside of Doctor Who's newly remodeled time machine, the TARDIS. In some ways, it's surprisingly similar to David Tennant's model. In others? Well... see for yourself.